PT Pertamina Retail - Pertamina Retail is a subsidiary company of state-owned oil giant PT Pertamina (Persero) that is involved in fuel and non-fuel retail business. Its business include managing retail public fuel filling station (SPBU), fuel trade and fuel transportation services. As of December 2015, 99.9972% of its shares are held by PT Pertamina (Persero), and 0.0028% remaining shares by PT Pertamina Trans Kontinental. Originally registered as PT Pertajaya Lubrindo in 1997 and initially engaged in the lubricant business. Later in 2005, the Company changed its name to PT Pertamina Retail and transformed to fuel and non-fuel retail business. Pertamina Retail is based in Jakarta runs its business through 122 SPBU COCO, 380 Bright stores, 10 Bright Cafes, 17 Bright Car Was Units, and 30 Bright Olimarts spread across Indonesia. Pertamina Retail’s performance in 2015 improved over the previous year. Pertamina Retail posted total operating profit of Rp 108.75 billion throughout the fiscal year 2015. 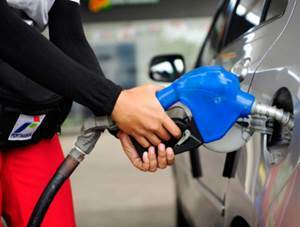 This amount is an increase of 81% over the same period in 2014 amounted to Rp 60.50 billion, according to Pertamina Retail Annual Report 2015 as cited by JobsCDC.com. Total assets in 2015 amounting to Rp 1,064.06 billion, or a growth of 23% of total assets in 2014 amounting to Rp 863.26 billion. Minimum 1 year of experience in the field of finance. Expertise with Accounting, Taxation and Computer. Minimum 3 years of experience in the field of information system development. Expertise with database SQL Server. Expertise with programming language .Net, VB, C#. JobsCDC.com now available on android device. Download now on Google Play here. Please be aware of recruitment fraud. The entire stage of this selection process is free of charge. PT Pertamina Retail - Invoice Receiving Staff, Developer Analyst Programmer Pertamina Group October 2016 will never ask for fees or upfront payments for any purposes during the recruitment process such as transportation and accommodation.